← My friend Bar De Ness. Mozambique. Paradise lost. Is just my short recollection of the many splendid holidays I had there at the holiday resort Beira, which like most things in Africa, now no longer exists as we knew it anyway. How dreadfully sad. Of course I am going back a long way in time to the early sixties and seventies before all this was lost to us forever. Consequently it is a trite difficult to find images of then and there. Now that is the Estoril Hotel where we as a family stayed year in and year out and I have to admit I loved it there. To get there we travelled from our farm in Norton to the third largest city in Rhodesia known as Umtali which was on the border of Mozambique. I trust this little old map gives you some idea of where we are. Umtali on the Eastern boundary of Rhodesia and from there into Mozambique in those days under Portuguese control. Ah the grand old days of colonialism eh? It was actually a very short drive from Umtali to Beira at the coast of Mozambique. Once through the border post and in Mozambique and the thin tarmac road which was only the length of one car and the first stop was in Villa de Manica as we were kids then and needed a toilet break. As a matter of fact I still being a small boy became an ace at recognising the better toilets in Mozambique. Nice toilets being the number one comment. The other thing to remember is that when an approaching car came one was supposed to drive with one wheel on the tar and one on the dirt. 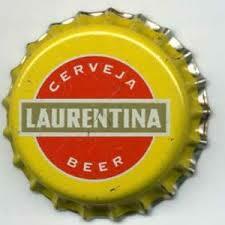 However the Portuguese just stayed on the tar full time, but, more on that later. Little Kevi is bored so starts an argument with his elder brother PJ of which he never won one. Outsmarted again I am sitting with a bad case of the mutters when a troop of Baboons troop across the road. I now have a brainwave and with a broad smile say, ‘look there goes your brother’, to which my brother replies, ‘yes, that is right’. And everybody bursts out laughing. Tsuh, I’m not a boy. Next stop Villa Perry and then onto Beira and our holiday begins. Now one crosses the road from the Estoril and walks towards the Pavillion, chalets for people camping on the left of this road, and then on the beach. Now we as a family always and I mean always sat near to the lighthouse. Picture on the right. There was also an old shipwreck on the left in our time there along long time before this photo was taken. In the times I was there the wreck although rusted was in a lot better condition than in this snap and was used as a sand break. Anyway idyllic times were had there and gradually I became older and older and more reminiscences to come. Our family friends the Wrench’s also always spent some time here and there daughter Shelly a year younger than me couldn’t tan and always ended up with a severe case of sun burn. Shame hey? So growing up and am now getting sozzled at the Pavillion every night, great Ceverja There and mine was Laurentina and occasionally getting off with the odd chick. Now this year there was a guy there from God alone knows where with long blonde hair. He is playing war games with all the kids there and a vast entourage is following him. They finish up and go to the Pavillion. A short while later he leads his troops back onto the beach and they are all carrying a mini bottle of beer. I have never seen so many mothers come off there towels so fast before. But the kids will not part with their beer and eventually Dad intervenes with a leave them. It is night time at the Pavillion and this guy is trying to get off with some Rhodesian chicks but they want nothing to do with him and are giving him that typical chick hard done by stare. I get there as he says to them trying to make conversation, ‘parlez vous Francais’? When that doesn’t work, ‘speuken sie Deutsch’? And I just had to laugh. My old school-friend Runt Bradshaw invites me to go on holiday with them to Beira. I immediately accepted. His folks are a bit short of a few bob, so we are camping, the first time I have ever camped there. Without a shadow of a doubt it was one of the nicest holidays I have ever been on. So much fun and so many laughs. Runt and I however keep on asking to go to the Pavillion and this puzzles the old man who cannot understand what for? Runt was a late bloomer and very small for his age then but eventually the old man relents and spruced up and looking in our prime we head there. Just as we have ordered our Cerverja we look up straight into old man Bradshaw’s face who has followed us. He just says, ‘now I know why you wanted to come here’, and storms back to the caravan. He must have pricked our conscience as we downed our snorts and went back home. 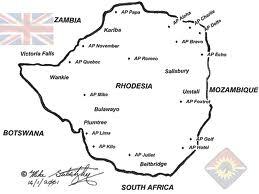 Now before I forget, Rhodesia was a country at war as was Mozambique, but somehow this never affected our travels. The blacks supported by left wing politicians were trying to get into power and not having the wherewithal to arm themselves were being armed by these countries. As best my memory serves me correctly the Portuguese had a system known as ‘assimilada’ which basically meant they rewarded blacks with this privilege which entitled them to all the privileges the whites had. I silly you not. My last time in Beira I actually got off with a chick who was a walking, talking, living doll. What she saw in me to this day remains a mystery? You see the thing is about Mozambique. Paradise lost. It really was that and completely and utterly unspoiled. I loved it there and always will. The wonderful restaurants and superb food. 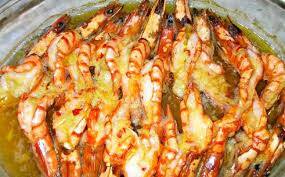 Had something like this at Johnny’s place a superb restaurant in Beira. Back to the chick, every night we have a drink at the Estoril downstairs and there is a Portuguese guy playing the organ and fabulous songs but with no singing. It is her last night there before going back home and the table we are sitting at is a bit wobbly so she says to me, ‘what do you have to say about this’? So reply, ‘I dunno’. to which she says, ‘sea air affects the state of equilibrium’. For some reason I was furious or just trying to be cool, so stormed out and left her sitting there all alone. Never and I mean never have I been so ashamed of myself. Now there are only two girls I ever owed an apology to, one of whom I have since made peace with. But not Julie who I think was from Que Que and whom I never saw again and now can’t find. My apologies kid, I promise I never would have done that today. Herewith the song in question. This entry was posted in Business & Work, Culture & Society, Education, Family and Relationships, Travel & Places, Uncategorized and tagged Beira, camping, camping accessories, cultural differences, ethics, history, honesty, Mozambique, Rhodesia, seaside resorts, writing, Zimbabwe. Bookmark the permalink. 40 Responses to Mozambique. Paradise lost. Spook, So many memories of a surreal experience arriving in heavy rain and floods in December 75 with a foot of floodwater outside Johnnies. Blinds were down, the prawn and Lagosta came out and 3 hours later we emerged to blinding sunshine and dust blowing down the street. It was like we had been in a time warp. 2nd time I have read Spook – just the other day hubby and I were swopping stories about Mozambique, swimming in the ocean, eating prawns (bugger I have become very allergic to them), Estoril which I often felt one may have had shares in when I think of it. Would I go back though, that is the question we both ask ourselves at times. We would love to take the partners of our daughters to those parts of the world, but then at the same time maybe we just treasure our memories. Do not stop writing. Delighted with this and no we can’t go back as what once was so beautiful is now a shell, how dreadfully sad. Spook…..I forgot to mention the Beira Golf Club ! My Dad, Mark Chance, JJ Hammond etc. used to play in an annual tournament based along the lines of the Ryder Cup…. over the Rhodes and Founders holiday, I think it was ? Des is away in SA at the moment ( playing golf – what else ! ) at 86 years old !! When he gets back I will ask him to tell us his tale ! Grand and good luck to him. Thank you, Spook. What wonderful memories your story brings back. 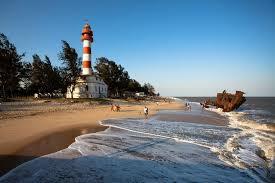 My friends will be returning from a week’s stay in Beira. I asked her for lots of pics and will share them via FB. Delighted to hear from you Dawn, my, how time flies. Do you remember the milk bread they made there – light as a feather and the tastiest, whether eaten as bread or toast? Loved all the graze there and they sure could cook. Hi Spook. I have recently been back to Beira and the restaurants are still great although the Estoril is a shell. Lighthouse and wreck (different one) still there and the sea still brown. My son lives in Chimoio and goes down for weekends with his wife and they love it. They were the absolute best holidays – freedom for the first time for us teenagers!! Delighted to hear from you Charl and my old father in law flew in there a few times when we were in SA and told us some horror stories. Interesting read although as you know,I am very familiar with all of this,nevertheless, brings back great memories of my youth and the good times spent in that remarkably beautiful land. Thanks for sharing with us and oh,too bad about the chick. Thank you George and you could not have summed it all up better. Julie would not have been from Que Que, they had more taste than to consort with a Norton Clodbuster. Enjoyed reading it Spook, brought back memories for me as well. Excuse me old pal, I am positive she was but, thanks for the laughs Paul. You are more than welcome Maggi and thanks for the visit and comment and often wish there were more like you. We sure were and delighted with your comment and visit Norma. Thanks for keeping us entertained..never been to Beira so you give me some insight as to the good old days..
Grand and you sure missed out on something. Was magic there and I mean really magic, completely and utterly unspoilt. OK then, very occasionally and delighted with this and thank you. xoxo … love your memories!! I’d surely would have loved to be along to share such sweet memories especially to witness the Portuguese playing his organ!!! He was magic man and I really, really loved that song. Those were the days my mate…..you are so right. Estoril, the legendary Carlos Brito and Mrs. Alves, Johnny’s Place, the Pavilion….who would forget ? ! The Lido, Grand Hotel, Oceana and the night clubs….Camphino, Moulin Rouge, Black Prince and Johnny’s bar ! Our last trip there was after we finished National Service with a bag of Escudos courtesy of some luckless paymaster ! So much fun. 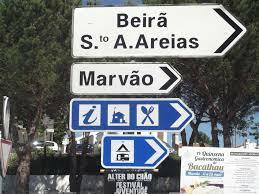 We still have wonderful holidays in Moza but no longer in Beira. Lovely reply Bents and Carlos fancied my Mum damn old devil. Can you remember Pepe and his piano accordion. Carlos made him play one night at the pavillion when the band from Rhodesia didn’t pitch. Well she swayed, like an Angel swayed, well she moved like an Angel moved. I mean, really, far out man. I remember my Dad saying that if the parents went to the bar and sat outside they brought plates and plates of prawns and other potugise foods – so if you were on a budget you could eat for the cost of a few beers (for adults) and cokes for kids!! It was magic there, pure magic, was it not. Delighted with this and you sure missed out on lots and lots. 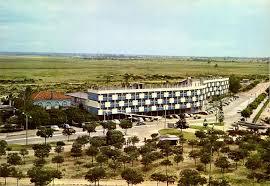 I never had the pleasure of going to Beira, as I only went to Rhodesia in 1973, when the good times were ending. have heard lots of wonderful stories about the place though. Delighted to see you here and you sure missed out on something. I have heard that many times, how wonderful the place WAS! Nothing to touch it completely and utterly unspoilt.